The line between personal computers and mobile devices has been blurring for years. With the release Wednesday of Apple’s newest operating system, called Mountain Lion, shifting between these devices has become even more natural. I’ve tested the new operating system, formally known as OS X version 10.8, for the past week. It introduces new functions and it mirrors several helpful features first found in the iPhone, iPad and iPod touch, such as seamless sharing with third-party networks, iCloud integration and dictation. But I ran into some trouble with Twitter notifications and Calendar. 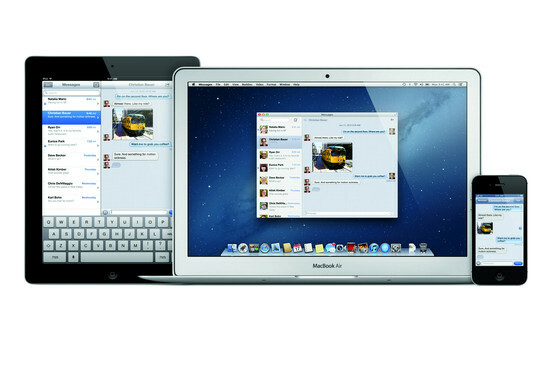 Apple’s Mountain Lion, which comes just a year after the launch of its previous operating system called Lion, incorporates elements from mobile, but still maintains a separation between the PC OS and the mobile OS. Later this year Microsoft will introduce Windows 8, its first operating system that completely merges the company’s tablet operating system with Windows. Mountain Lion’s Facebook Share sheets let people instantly share content to Facebook. 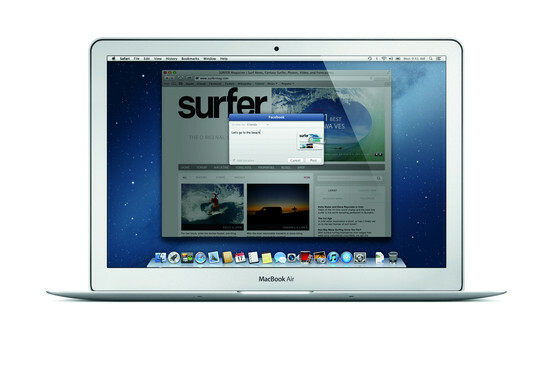 For $20, one copy of Mountain Lion can be installed and used on all of the computers that you and your family own. Starting Wednesday, it’s available exclusively as a digital download from Apple’s Mac App Store. Most Macs bought in mid-2007 or later that run OS X version 10.6.8 or later will be able to upgrade. 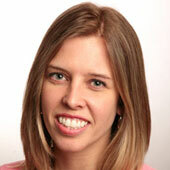 There are over 200 new features in Mountain Lion, so I focused on the ones that made the biggest impression on me. 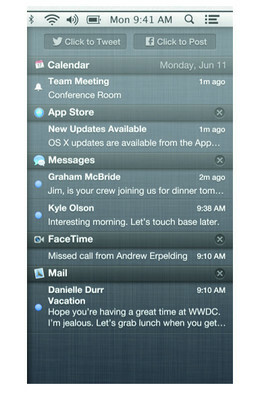 That list includes Messaging, which elegantly blends iMessage with other messaging on the PC; Notification Center, which cleans up notifications from various applications by organizing them in a single panel that slides out from the screen’s right side using a two-finger trackpad swipe; Dictation, which lets people speak anywhere they can type; and integration with Facebook and Twitter, though Facebook won’t work until this fall via a software update. Messaging elegantly blends iMessage with other messaging on the PC. I got completely addicted to Mountain Lion’s Share sheets, which pop up whenever you’d hope to be able to share something. This includes Web pages from Apple’s Safari Web browser, and items from Apple’s Notes program or photos that you want to send to friends. Share sheets use whimsical animations to bring a paper clip, photo and text together on a little piece of virtual paper that gets whooshed off into the ether. Sharing works through a variety of methods, so you can be sure to reach anyone. ICloud, Apple’s cloud service, is one of the keys to Mountain Lion’s magic, and it works in the background to send the same data to applications on all of your enabled iOS devices. This lets you relax and pay less attention to what you stored where, because it doesn’t really matter. If you don’t own other Apple devices or don’t use iCloud, Mountain Lion won’t make quite as much of an impact on you. It’s also worth noting that Apple’s mobile operating system, called iOS, won’t be updated until this fall, meaning a PC, iPhone, iPad or iPod touch should by then work more cohesively with Mountain Lion. I got an early look at Mountain Lion’s integration with Facebook, which is still in its “beta,” or test phase, and is currently only available to developers. Two of the coolest Mountain Lion features will only work with certain new Macs: Power Nap and AirPlay Mirroring. Power Nap, which updates the PC once an hour as the computer sleeps, only works on the MacBook Pro with Retina Display or MacBook Airs made after mid-2011. AirPlay Mirroring lets people display whatever is on their Mac’s screen on an HDTV with a $99 Apple TV device plugged into it. AirPlay Mirroring only works with the second-generation or newer Apple TV and the iMac, Mac mini, MacBook Air and MacBook Pro made at least as recently as 2011. The Notification Center cleans up notifications from various applications by organizing them in a single panel that slides out from the screen’s right side using a two-finger trackpad swipe. I tested both of these features on a MacBook Pro with Retina Display and they worked as advertised. My email, software updates and calendar alerts appeared almost immediately when I woke my PC, thanks to Power Nap. But it doesn’t update a computer that’s asleep for less than an hour, which is often the case for me since I take short, 30-minute breaks while I write. I used AirPlay Mirroring by clicking one button on my MacBook Pro with Retina Display and watching a YouTube video about Sally Ride on my 42-inch HDTV. The image quality looked terrific. Mountain Lion does a nice job of integrating third-party services, like Twitter, Facebook, Flickr and Vimeo. If you sign into a network once, you’re signed in everywhere else you might use that network on the PC, which is a plus. Facebook and Twitter integrate with PC Contacts to do smart things like using friends’ Facebook profile photos as Contact photos, and updating these images automatically as friends change them. You can also grab profile photos from Facebook for contacts who aren’t your Facebook friends. But some features in Mountain Lion need a little polishing. The Notification Center wasn’t as helpful as I hoped. Twitter and Facebook status update boxes at the top of the Notification Center panel were too limited. When I pasted long Web URLs into tweets, they weren’t automatically shortened, which forced me to use Twitter.com or TweetDeck. Facebook status updates only let you type plain text rather than tagging friends or uploading images in posts. Notification Center promises to alert you of @reply or direct messages that you receive from Twitter. But it failed to tell me about dozens of @replies that I received; the only ones I did see were from people I follow on Twitter. After some troubleshooting, Apple conceded that Notification Center is currently only capable of showing @reply or direct message notifications from people you follow. They promised to fix this issue in a future update to Mountain Lion. Facebook notifications from the Notification Center weren’t yet ready for me to test. The Notification Center kept my last five unread emails, as well as upcoming calendar appointments, and alerts and banners appeared in the top right of my computer screen to tell me about certain things so I wouldn’t miss them. If this drives you nuts, a simple on/off switch at the top of the Notification Center will stop them for a day; settings in System Preferences will permanently turn them off. I also had trouble with Calendar, which repeatedly told me it couldn’t sign into my Google Calendar, though it displayed events from my Google Calendar. I did a lot of troubleshooting with Apple, but couldn’t solve the problem. Apple said this was an issue they haven’t seen before and that they’re planning to fix it. Apple’s iCloud replicates Reminders and Notes on your PC and other devices. This was a big help to me as I tested Mountain Lion because I wrote down a lot of my impressions in Notes, and these synced to my iPad and iPhone. I successfully tested other features including setting up VIPs in Mail, storing documents from Pages in iCloud and testing Tab View in the new version of Safari. For people who already use iPhones, iPads or iPod touches, many of the new features in Mountain Lion will feel like second nature. I can’t completely rely on Notification Center just yet, but this operating system’s focus on smart sharing and overall integration with social networks makes it a pleasure to use.